CROSSING into the second half of the NAB League Girls seasons, ladder positions are beginning to become defined with crucial matches across the weekend. Among the huge matches are fourth placed Dandenong Stingrays taking on reigning premiers, Geelong Falcons at Doveton, and second placed Northern Knights taking on Eastern Ranges at La Trobe University in Bundoora. There are a number of huge ins with Georgie Prespakis returning for the Cannons, Ella Wood back into the Greater Western Victoria (GWV) Rebels’ line-up after overcoming injury, and Nikia Webber also back for the Power in their all important clash with Bendigo Pioneers. Among the outs this weekend are Cannons’ Krstel Petrevski, Western Jets’ Cleo Saxon-Jones and Oakleigh goalsneak Amelia Van Oosterwijck. A welcome return for her first game since Round 1 is Sandringham Dragons’ Bella Eddey who is likely to create some more power up forward. THE Sandringham Dragons nearly earned themselves a grand final berth with a strong run home. They won six straight games to end their season on a high note, with half of those wins being more than 50 points. The Dragons only lost to the two teams above them on the ladder, demonstrating their ability to put away weaker sides and show their strength in the competition. Eleanor Brown: Brown was a prolific ball-user throughout the season, with her clean hands and long kicks allowing swift ball movement. She was a ball magnet in the midfield and could cover ground really well to back up her work in key areas of the ground. Her strong hands were also key in the season, as she took many intercept marks to help penetrate the ball forward for her teammates. Brown has had a busy off-season already, playing a game for both Vic Metro and the Southern Saints in the VFLW, excelling in both matches. Bella Eddey: Eddey was a great user of the footy in the forward line, often getting on the end of a lot of goals throughout the season. She worked hard in and under the contests to win the footy and also presented well at forward entries to ensure that she could contribute to the Dragons’ fierce attacking. Has a huge tank and can run up and down the ground with the same intensity and effort throughout the game. Eddey was rewarded for her six goals from seven games in the TAC Cup Girls season with a spot in the Vic Metro U16 side in the AFL Women’s National Under 16 Championships. Jemma Owen: Owen was a great leader for the Dragons and seemed to improve as the season went on. She played every game for Sandringham and was versatile in her approach to winning the football. Traditionally an inside midfielder, Owen always went in hard for the footy and tackled strongly. But she could also work up the ground and make an impact up forward, as she kicked six goals for the season. A hard runner, Owen always did her best to ensure she was first at the footy, which put immense pressure on the opposition. The Dragons captain has already had the opportunity to show off her skills on the big stage, as she lined up for Vic Metro at GMHBA Stadium in Series One of the AFL Women’s National Under 18 Championships. Abbie McKay: A midfielder that loved to take the game on, McKay was a vital member in the Dragons’ squad. She had the ability to move the ball swiftly through the corridor, which was testament to her clean hands and precise kicking. Had the ability to float into defence where she would use those same attributes as well as strong hands to mop up the footy well for Sandringham. McKay often demonstrated good power to burst out of a stoppage and her work in close was an asset of her game. She was able to display her signature style of football in Vic Metro’s win over Vic Country at GMHBA Stadium, and is training with Carlton’s VFLW side in a bid to play with the club that her father played for. Eliza McNamara: An exciting young midfielder that showed class and skill on the field. McNamara showed impressive endurance and great ball movement throughout the season, and was a key cog in the Sandringham midfield. She often provided excellently delivered kicks to her teammates and her hands in close were exceptional. It was difficult to identify that McNamara was a bottom-ager as her ball-use and ability to fight hard for the footy against a bigger body displayed extreme maturity on her behalf. Testament to this, she got to pull on the big ‘V’ and run out with Vic Metro in the AFL Women’s National Under 16 Championships. Holly Bate: Bate was the TAC Cup Girls leading goal kicker of the season, booting through 18 goals from nine games. She particularly hit her straps inside 50 towards the end of the season, where she backed up a five goal performance with a seven goal performance in two consecutive weeks. Bate provided a good target up forward for the Dragons, as she often positioned herself well against an opponent or did enough to put pressure on them to turn the ball over. Her season was capped off with a spot in the Vic Metro side in the AFL Women’s National Under 18 Championships. 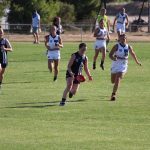 Alice Burke: Playing in defence, the Vic Metro Under 16s representative became one of the shining lights throughout a positive season, making the switch from the round ball game to seem natural in the back half. She rebounded well and pushed up the ground when required, named among the best on a number of occasions. One of a number of Under 16s that will continue to develop at the club holding out hope for sustained success. The Dragons had a strong season where they were able to record some big winning margins and some narrow losing ones. With a long list of players, the Dragons had plenty of options to choose from each week and used young players like Winnie Laing, Sarah Hartwig and Alice Burke to create some excitement in their line-up. With a strong 2018 season, they are right in the mix for a top two spot next year. IN what was a great opportunity for the most talented Under 16s girls, Vic Country took on Vic Metro at GMHBA Stadium on Saturday morning as a curtain raiser to their Under 18s counterparts. Vic Metro got the job done in an entertaining contest, and Peter Williams (Vic Country) and Julia Montesano (Vic Metro) took notes on each of the players who took part. Note all reviews are opinion-based. Throughout the match she showed a fierce attack on the footy, particularly in the third term where she was involved in a number of plays. She was often deep in defence or running off the half-back flank, she had quick hands and did not take a backwards step. She gave away a free kick to Tarni Brown in the third quarter, but it was her attack to win the footy that was most impressive. Raymond showed great defensive pressure in the back half, laying a number of strong tackles. It was almost déjà vu for the Gippsland Power player, who had no problems burying her opponent in a fantastic tackle in both the third and fourth quarters. She also saved a goal with a great tackle as an opponent ran towards the big sticks. Attacked the contest hard and had a good first term where she laid a couple of great tackles – unfortunately giving away a free for holding on too long. She created run out of defence in the second term, and was reliable with her disposal, including a good kick from half-back to the wing in the third term. Had a couple of nice passages of place including a good handball at ground level under pressure in the first term, and quick hands out of a stoppage in the third term. Fitzsimon showed quick hands under pressure and a cleanliness at ground level to collect and go. She had a good kick to the wing after picking the footy up cleanly off the deck in the second half. She continued to stay involved along the wing. Along with Tyanna Smith, was a driving force in the midfield. She won the footy throughout the four quarters and put in a really consistent effort. She did the defensive things well, laying tackles and providing bumps, while taking a courageous mark on the wing in the second term. She kicked well off half-back and had a fantastic run-down tackle on Ellie McKenzie after copping a don’t argue in the third term and earned a free kick for her troubles. She covered the ground well, also winning possessions in the forward half of the ground. Unfortunately Finning was injured early in the second term and did not get to play the game out. Took a lovely mark at half-back in the final term and had a good centering pass to a teammate. She also showed a quick kick out of a stoppage late in the game. Played in defence and constantly went in hard. She took a good one-on-one mark early and was able to quickly dispose of the ball under pressure. Nicholson had a highlight laying a strong tackle on Olivia Meagher, not fooled by Meagher’s attempt to sidestep her inside 50. Jordan stood under a high ball in defence and despite contact coming did not waiver. She was unlucky not to get a free, showing good courage. In the third term she had a piercing kick inside 50 after moving through traffic, and then took a good intercept mark on the wing. Jordan laid a fierce bump on her opponent in the final term. Hards showed a willingness to back herself at all times coming off half-back. She got caught a couple of times, but for the run and ability to crash through opponents, it was worth it. She charged out of defence a number of times and was often under pressure. She laid a great tackle at half-back early in the game and hit-up Maggie Caris on the wing. The Vic Country captain was one of the best with Renee Saulitis. Smith spread well to the outside and worked hard back into defence to help out. On a number of occasions, Smith read the loose ball in the air superbly, sticking out a hand and grabbing it cleanly before disposing of it by hand. She showed great acceleration out of a stoppage and kicked a goal on the run in the second term, really starting to dominate through the midfield. She laid some strong tackles and also took intercept marks at half-back. Played in defence and had a number of kicks from half-back to the wing, rebounding where possible. She showed a good long kick and took a great mark dropping back in the first term to intercept. Showed good courage going back with the flight at half-back to impact a contest despite copping body contact. She also applied good defensive pressure at half-back, applying a good shepherd to allow a teammate to run on. A quieter first half, but took a great mark on the lead 35m out for a set shot in the third term. The shot drifted right, but she was presenting to the midfielders. She also laid a great smother at half-forward to put the ball out of bounds in the final term and force a throw in. Had a very nervous start to the day with some fumbles and caught holding the ball once for Alyssa Bannan to goal. Once she settled in she got back to what we have come to expect from her with a couple of strong intercept marks and was reliable by foot. A quiet game, but always attacked the contest hard. She had a fantastic kick in the third quarter with a perfect pass to Sophie Milsome on the lead. Busy early in the game, showing good vision to handball to a teammate at half-back through a couple of opponents. She has really good evasion and is able to step around opponents well. She threw it on the boot once, but is often more composed with the ball, and is quite athletic. Had a good moment to knock Ellie McKenzie off balance and drop the ball as she streamed towards 50 in the first half. Just continues to pop up at times despite not having a lot of opportunities. She had a clean pick-up off an awkward bounce at half-forward and was able to maintain composure to give it off to a teammate while she was under pressure. Tierney’s highlight came in the third term with the goal of the match after picking it up, snapping quickly from the boundary and dribbling it home. She also took a huge contested grab in the forward 50 later in the term, clunking the mark and looking dangerous. When the ball went in her forward zone she showed good defensive pressure and was able to lock the ball up with a good tackle. Barber’s second efforts are noticeable in her ruck work, often winning her own ball from the taps. She laid a number of fierce tackles at ground level and continued to work hard. She snapped at goal off a couple of steps but just missed to the left. A raw but talented ruck who is smart with her hitout work. She was strong overhead and often marked at the highest point. A learning curve for her would be the game smarts when Alyssa Bannan was having a set shot from 40m and she stood at the top of the goal square instead of on the line and it bounced through with no-one to stop it. A really solid game all round, however. Meagher was really lively up forward and was not afraid to take the game on. This was shown when she kicked a long bomb from just inside 50 that sailed through the goals. Before that, she read the ball well out of a stoppage and snapped through a goal from just outside the goal square. She was able to generate good acceleration and cleared the ball well after tackling a Country player. Meagher was not afraid to run the ball through the corridor and used her long kick to advantage on multiple occasions. Hacked a kick nicely out of a stoppage. Meagher kicked her third goal with a beautiful pick-up and snap and utilised excellent closing speed to chase down the Country player and earn a free kick. Chased the ball well in defence, as she attempted to tackle three players. Nicked one of the jumpers and won a dropping the ball free kick, thanks to her desperation at back half. Laid a goal-saving tackle and always gets involved in the right moments. Morton followed the footy with purpose and intent throughout the day. She was able to trap the footy well and often used the ball well by foot. She also displayed great clean hands while being tackled, showing her strength in the contest. Took a nice mark in defence to stop Country running forward and then hit a target with her kick. Bennett competed hard throughout the match and displayed some great work inside 50. Kicked two goals for the day. Her first was a snap from an angle while being slung to the ground, which got the momentum swinging in Metro’s favour after a slow first quarter. Bennett has great composure with the ball in hand and when she does not have it, she follows it up well, laying strong tackles to prevent any opposition forward movement. Fitzgerald followed the footy nicely throughout the match and got plenty of it, which was a credit to her efforts around the stoppages. Executed a good pick-up and laid off a nice handball out of a stoppage while on hands and knees. The Northern Knights product always followed up her efforts well, through tackling hard. Gave off a nice quick-fire handball out of a stoppage inside 50. Picked the ball up with ease off the deck and got a quick handball away to Alyssa Bannan. Played well on the wing considering her normal spot is up forward while playing for the Dragons. Laing read the play well and hunted the footy with intent. She got a lot of the ball and did everything she could to get the ball out of a stoppage. Often used her speed to break away and get the ball forward for Metro. Snow had great hands out of stoppages and showed good strength while doing so. While being pursued by two players, she got a clean handball out to a teammate on the outside. Snow got the ball away while being tackled multiple times, giving her teammates first opportunity to get onto the football. Executed many nice kicks to the top of the square, giving them good height and allowing her forwards to jump at the footy. Also had the ability to pinpoint kicks, displaying good all-round footwork throughout the day. McNamara accelerated well with the ball in hand, clearing it out of the centre square in one instance. Also did well defensively when she laid a strong wrap-around tackle on a Vic Country player then followed it up with another aggressive tackling effort. Had a sensational first half for Metro then played consistently for the rest of the game. Brown created so many scoring opportunities for Vic Metro with her clean hands and accurate kicking. She was able to boot the ball forward when needed to or she would get the play started with a strong handball out of a stoppage. Brown did nicely to find space and utilised it with lovely acceleration. Her blind turns were a highlight of her game, as one ended up in a handball to Abigail Bennett on the outside, who kicked her second major of the day as a result. Brown also demonstrated a high footy IQ when she lowered her eyes to spot Alyssa Bannan on the outer side, who then kicked a goal while being tackled. Took a good leading mark on the wing and read the ball well off a tap. She then moved the ball well with a nice clearing kick out a stoppage. Gave off a good handball on hands and knees to get the ball out of congestion. O’Loughlin laid a great tackle that prevented a Vic Country breakaway. Did most of her hard work up forward with a good kick towards goal that was on line but just didn’t make the distance. O’Loughlin’s defensive efforts were sound as she laid a strong tackle to earn a free kick. She then pinpointed the pass perfectly to Olivia Meagher for a set shot, giving her prime opportunity to kick a goal. Magri displayed strong hands throughout the day. She took a great mark off an Alice O’Loughlin kick inside 50, but she just missed the set shot. Took another miraculous mark inside 50 in a one-on-one contest, grabbing the ball with one hand and moving it forward. She is an exciting player with the ball in hand. Micallef pursued the ball with intent and then kicked it well around her body towards the boundary line. This showed great composure as it helped to slow the play down for Vic Metro. Hartwig gave off a good handball while being tackled strongly. Also took a strong contested mark and followed it up with a pinpointed a kick to Bennett at half-forward. McKenzie played a blinder of a game, particularly showing off her strong hands and exciting dash. She often found herself on the wing and created excitement when she fended off a player and streamed towards the forward 50. She did this in two separate points in the game, displaying her X factor and strength with the ball in hand. In many instances, she showed good situational awareness, as she knew she had space and used it to her advantage. In the forward half, she laid a good smother and attempted an almighty speccy. McKenzie leapt for every ball that came her way, and was fearless in attack. Demonstrated excellent run and carry when she streamed inside 50 to get the ball towards goal and creates a scoring opportunity. Showed class when she executed a great one-two with Alice O’Loughlin. Crook did well in the ruck and followed up her work. She showed good intent to keep the ball moving when she dribbled the ball on the ground instead of just diving on it. This was smart play by her to keep it moving and then pick it up when she had the space to do so. Crook also tackled well on the day. Ball didn’t go down her end that much but showed good intent when it came her way. At one point, she displayed good use of the body to shrug the tackle then executed a good second effort to create a stoppage. Grace played in the ruck and contested well with Maggie Caris. Bannan was prolific in the forward line, demonstrating her high footy IQ. Took a good mark lace-out and then executed a perfect kick for goal from about 40 metres out. At this point, she backed herself and the ball bounced through. Bannan even had a stint in the ruck and competed well thanks to her height and footy smarts. A highlight of her game was when she punched the ball forward in the air to prevent a stoppage, then got the ball back off her punch and gave off a quick handball to Ellie McKenzie. Bannan also displayed clean hands throughout the game. Her kicking was on display too when she kicked a brilliant centering ball to Jessica Fitzgerald, giving Fitzgerald’s opponent no chance to compete. The Northern Knights forward finished with two majors for the day. Young tackled well and displayed good strength to stand up in the stoppage and get a handball away over the top. VIC Metro and Vic Country have both claimed wins over their respective opponents in the National Under 16s Championships. Ahead of the big clash between the Victorian sides on Saturday, Metro defeated South Australia by 23 points, and Country knocked off NSW/ACT by 31 points in Horsham and Albury respectively. Metro had to overcome an early deficit, kicking just one behind in the opening half as South Australia led by six points at the main break. But an inspired Victorian side came out to boot two goals in the third term, and three goals in the final quarter to run over the top of the Croweaters with a 23-point win. Alyssa Bannan was the key up forward for Vic Metro in the second half, with the Northern Knights star booting two goals, along with teammate Ellie McKenzie (one). 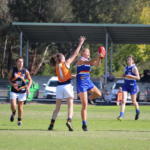 McKenzie was named in the best, along with Eastern Ranges small Olivia Meagher, who was dominant across the four quarters, named best on ground ahead of Ranges teammate, Tarni Brown. Fellow Ranges player Mietta Kendall, Oakleigh Chargers’ Taylah Morton, and Calder Cannons’ small forward Alisa Magri were named among Metro’s best. Sandringham Dragons’ Bella Eddey was the other goal scorer. For South Australia, Aisha Thomas and Elouisa Thomas were the goal kickers, as Abbie Ballard was named the losing side’s best on the day. Hannah Ewings, Jamie Parish and Teah Charlton were also named among the best, in what was a strong performance from the South Australian side. In the other game, Vic Country had control of the contest against NSW/ACT early, booting three goals to one in the opening term. The Rams hit back with the only goal in the next two quarters, to trail by just 11 points at the final break. A dominant last quarter saw Vic Country run away with the game, booting three goals to zero and record a 31-point victory. Murray Bushrangers’ tall Olivia Barber was too strong, booting two goals, while midfielder/forward from the Dandenong Stingrays, Tyanna Smith also finished with two majors. Geelong Falcons’ forward Renee Tierney, and Bendigo Pioneers’ Elizabeth Snell both booted goals in the win. 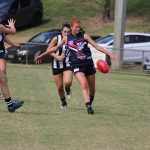 Greater Western Victoria (GWV) small forward Renee Saulitis was named best on ground for her efforts on the weekend, ahead of Smith, Snell and Rebels’ teammate Chloe Leonard. Tierney was also impressive, as was Pioneers rebounding defender, Brooke Hards. For NSW/ACT, Amy Sligar and Abbey Martin were the goal kickers, making history as the first Under 16s side from NSW/ACT to compete in a National Championships. Sligar and Martin were among the Rams’ best in the loss, along with Jayde Hamilton and Arizona Cross. Natalie Sligar was deemed to be the Rams best in what was a memorable day for the state despite the defeat. SA: Aisha Thomas, Elouisa Thomas. Vic Metro: Alyssa Bannan 2, Olivia Meagher, Bella Eddey, Ellie McKenzie. SA: Abbie Ballard, Hannah Ewings, Jamie Parish, Teah Charlton, Chloe Forby, Sarah Wright. NSW/ACT: Amy Sligar, Abbey Martin. Vic Country: Olivia Barber 2, Tyanna Smith 2, Elizabeth Snell, Renee Tierney. VICTORIA’S top Under 16s footballers from the TAC Cup Girls competition will converge on country venues this weekend in a couple of matches to test themselves against the best from other states. Vic Metro takes on South Australia in Horsham on Sunday, while Vic Country heads to the border to face NSW/ACT in Albury. The following week, Vic Metro will face off against Vic Country at GMHBA Stadium in a curtain raiser to the Under 18 Girls’ sides. For those wondering, the Under 16s are made up of players born in 2002 and are not eligible to be drafted until 2020. Strong overhead, great leader and rarely beaten one-on-one. Her game knowledge and awareness is ahead of her years. A standout performer this season for the Jets. Unbelievable impact so far this season, named in the best every game she played. Can play forward, midfield or back, and is strong in the air. Sister of Vic Metro boys’ representative, Tom. Strong in the air, can kick goals at will, shown by her huge day out against Bendigo Pioneers. Lit up Beaconsfield earlier in the year with three goals in three minutes and provides a good target up forward. Mobile tall who can kick goals and very few players her height are quicker once she gets goal side. Good one-on-one defender, quick on the lead to spoil and provides good rebounds out of the back half. Will create a strong 1-2 partnership with Pritchard in the back half. A good user of the footy, can play up the ground but is really settled in the back half. Daughter of St Kilda champion, Nathan. Crossed over from soccer and has been a revelation at the Dragons. Another Knights player who has had some impressive moments at half-forward. Can push into the midfield as well. Very raw, but clearly talented. Has a very nice sidestep and can create something out of nothing. Daughter of Gavin and sister to Callum and Tyler. Seemed to get better as the season went on, plays a link-up role at half-forward, and can kick goals or win the footy through the midfield. Winger who provides good run in transition and played some impressive games throughout the season, especially in the absence of the Chargers top-age midfielders. Tends to play forward, but can play through midfield as well. A creative player who can kick goals from tight angles. As tough as they come on the inside, loves the contest and does not take a backwards step. Another creative forward who is good in the air or at ground level and just got better as the season went on. Starred late in the season at half-forward and can push up the ground as well. Creative and a good user of the football going inside 50. Was one of the Knights’ best in the grand final and plays taller than her 156cm. Good overhead and creates some great drive out of defence. Was a mainstay of the Cannons forward line this season and managed to get on the end of a few goals throughout. Another tall target inside 50 for Metro. Had a blistering start to the season and had the ball on a string early. A crucial part of the inside midfield at the Dragons, she showed good strength and an ability to move out of traffic. Has had a really consistent season for the Falcons. Good overhead, booted a bag of goals against Oakleigh at Warrawee Park earlier in the season. After the two top-age girls in Megan Williamson and Kodi Jacques, Finning was one of the more consistent midfielders at the Pioneers, regularly named in the best. A rebounding defender who can play forward, Hards is good in the air and reads the play well. Talented small forward who can kick some great goals from tight angles. Very quick and can pounce on a spillage from a marking contest. Tall target up forward who pushes up the ground and provides a contest. Raw but has shown some good signs. One of the more consistent 15-16 year-old defenders in the league. Worked well with Lucy Cripps to ensure the Stingrays had good defensive strength in the air. Rotated between ruck and key forward and was named in the Bushrangers best a number of times. Could rotate with Maggie Caris through the ruck or up forward. Has played a mixture of forward and back, and while the consistency is still building, she has tricks that not many players have, such as a penetrating kick from 50m on the run from a couple of steps. Buzzes around the forward line and can push up into the midfield. Fairly clean and clearly talented, will be a player to watch at the Bushies over the next couple of years. With her sister Rene in the AFLW Academy, Maggie followed her into the Rebels program and looked good in the final game of the season against Oakleigh. Already 188cm, Caris will likely play ruck, but could be tried in key position positions as well. Another player who seemed to get better as the season went on, Smith played through the midfield and won her own ball as well as created run in transition. Raw, but talented defender who pushed up to the wing for the Falcons. Got involved a number of times in the grand final and has plenty of scope for the future. Quick and fierce. Impressed down back, but also showed she could go forward and kick a goal for the Rebels. Good overhead and nimble, she provides plenty of rebound out of the back half. Played all nine games this season and was named among the best a couple of times for the Power. Had some nice moments within games. Booted four goals in eight games, including two against Calder Cannons. Was named in the Rebels’ best a number of times and provided a target inside 50. Played every game this season for the Bushrangers and became a regular in the back six. She was named among the best on a couple of occasions. VICTORIA’S top youth girl prospects have been selected to represent Vic Metro and Vic Country at the upcoming AFL Women’s Under 18 and Under 16 National Championships. The players will begin training immediately after the TAC Cup Girls Grand Final on Saturday, May 19, with the first training session to be held at Ikon Park the following day. A second training session will be held at Windy Hill on June 3 ahead of the competition with Vic Country Under 16s hosting Vic Metro on May 27 in both Albury and Horsham. On June 16, both Under 16s and Under 18s will face off against each other at GMHBA Stadium in Geelong. 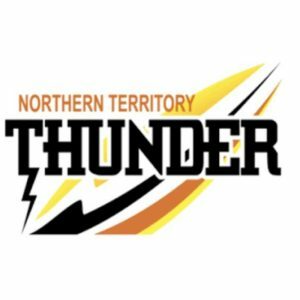 The teams then fly north to compete in the AFL Women’s Under 18 National Championships with three games held on July 9, July 11 and July 13. Murray Bushrangers’ coach Sam Ahmet and Eastern Ranges’ coach Tom Humphrey will lead Vic Country and Vic Metro respectively. Geelong Falcons’ Jason Armistead and Geelong VFLW assistant coach Natalie Wood were named as Vic Country assistants, while Northern Knights’ coach Marcus Abney-Hastings and Calder Cannons’ coach Paul Tilley will be the Vic Metro assistants. AFL Victoria Female Talent Manager Darren Flanigan said it is pleasing to have a number of current TAC Cup Girls head coaches overseeing the U18 teams. “Both Sam and Tom have good knowledge of the competition and the players within it,” Flanigan said. “We have been able to attract strong assistant coaching staff as well, which the players will benefit from. “The Academy program provides players with the perfect opportunity to test themselves against the best players at this level, and start to showcase their capabilities to recruiters for the upcoming AFLW draft later in the year. At Under 16 level, players selected will benefit from being mentored by current and former AFLW and VFLW players Mel Hickey, Emma Grant, Katherine Smith and Lauren Morecroft. “The ability of these players to provide their time will only benefit the those selected in our program,” Flanigan said. “Playing at the highest level possible, they will be able to share their experiences from the various levels of the female talent pathway, and help educate and develop these players to be ready to take the next step with their football. 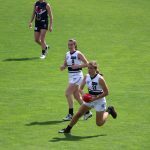 In the under 18s, the Vic Metro midfield could contain the likes of top prospect Madison Prespakis, and fellow AFLW Academy teammates Emerson Woods and Gabby Newton, while the likes of Georgia Patrikios, Britney Gutknecht and Daisy Bateman add some X-factor up forward. Mikala Cann, Maddy Brancatisano, Katie Lynch and Eleanor Brown are a number of other players likely to roam through the midfield, while in defence, Georgia Macpherson, Molly Warburton and Hannah McLaren will hold up the fort. For Vic Country, their midfield will include an AFLW Academy littered centre line featuring Tyla Hanks, Nina Morrison, Rebecca Webster and Olivia Purcell, who will rove to fellow AFLW Academy ruck Rene Caris. 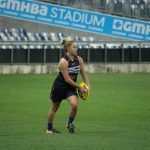 Lucy McEvoy, Georgia Clarke, Lucy Cripps, Denby Taylor and Jordyn Allen provide some strong numbers in defence, while up forward, Courtney Jones, Nikia Webber and Sophie Van De Heuvel will be key targets. The championships will begin June, with list reductions made in the lead-up to the first game. The full Under 16s squads will be named on Wednesday. THE Geelong Falcons remain on top of the ladder, getting revenge against Murray after a close loss last season. The Northern Knights are the other undefeated team after a clinical performance at Preston. Gippsland moved closer to the top four with a win over Bendigo while the Western Jets created history at Williamstown. Round five was one of the most eventful rounds of the season, with plenty of new standouts flexing their muscles across the weekend. The Western Jets got their first ever TAC Cup Girls victory in style, beating the undefeated Eastern Ranges. It was goal-for-goal throughout the whole game and only one behind was scored, which came late in the last quarter. Both teams fought incredibly hard for the victory. Elisabeth Georgostathis was the hero for Western, making her presence known in every contest. She was able to lay strong tackles and put her head over the ball to create some impressive passages of play for the Jets. Caitlin Greiser was dominant in the forward-line once again, backing up her three-goal performance in round four with a four-goal performance in round five. Isabelle Pritchard was solid in defence one again, displaying immense strength and courage to hunt the ball and tackle the strong Eastern forwards deep in defence. Sarah Kendall dominated for Eastern, playing in the ruck and making some nice contributions across half-back. She was like a brick wall, marking everything that came her way. She was complemented by Mikala Cann, who was always there to assist and deliver some great kicks to help her team regain control of the seesawing contest. Gabriella De Angelis was an absolute work-horse throughout the whole game, taking brave marks and moving the ball freely throughout the contest. She kicked two goals to top off her hard work, and was joined by Laura McClelland on the scoreboard, who continues to dominate inside 50. Gippsland Power continued it’s fantastic form of late, winning its third game in four starts, and collecting 14 of a possible 16 points in that time. It was a Nikia Webber three-goal haul that was the difference on the scoreboard, as the Power booted three goals to zero in the third term to lead by 20 points at the final break. A Kate Douglass goal in the final term gave Bendigo some hope, but the Power were good enough to hold on for a 12-point victory. Emily Haeusler was outstanding off half-back for the Power, while Amy Dunn gave the Power midfielders first use at the stoppages. The likes of Ebony Jones, Chandra Abrahams, Jazz Ferguson and Maddison Shaw all impressed across the ground for Gippsland. Abrahams’ goal from long range was a highlight, as was a huge Julia Redmond pack mark on the wing. For Bendigo, Kodi Jacques was superb in midfield, aided by usual suspect Megan Williamson, as well as Maddy Baldwin and Carly Isaac. Brooke Hards was sensational in defence, while Maeve Tupper roved to the likes of Shelby Knoll, who took a few strong grabs leading out of the forward 50. There was plenty to like about the way Bendigo played in a highly competitive and contested game. Northern Knights kept their perfect record in tact with what ended up being a comfortable win over Oakleigh Chargers at Preston City Oval. The home side burst out of the gates with three quick majors and went on to dominate the first half with seven goals to two, opening up a 30-point buffer at the main break. Oakleigh charged back in the third quarter, keeping the Knights scoreless while managing to pinch three goals of their own to set up a tense final term. It did not quite work out that way for the Chargers though, as the Knights piled on four goals to round out the game and notch up an impressive total of 88 points in the process. For Northern, star midfielder Ellie McKenzie contributed three of her side’s last quarter goals to cap off a best afield performance. Sarah Sansonetti and Alexandra Pronesti formed a formidable partnership up forward, managing four goals between them, while Alyssa Bannan chimed in with two of her own. Neve O’Connor another key player for the Knights, battling it out with Oakleigh’s Bridie Winbanks in an enthralling ruck contest. 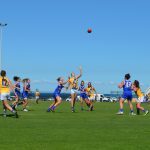 Winbanks was joined by bullocking midfielder Emily Harley as the Chargers’ best, while midfielders Alana Porter and Nicola Xenos provided dash all day. The undefeated Knights were again just too good for their opponents, but Oakleigh were more than worthy adversaries on the day having pushed them for the best of three quarters. Greater Western Victoria (GWV) Rebels won its second consecutive game with a four-point win over Dandenong Stingrays at Epsom Huntly Recreation Reserve. The Stingrays were the only ones to score in the first term, but booted three behinds, before the Rebels found their kicking boots with a four-goal second term to race to a 20-point lead by the main break. The Stingrays clawed their way back into the game with the only three goals of the second half, but just ran out of time as the Rebels bravely defended in the last few minutes to secure the win. It was a team effort from the Rebels, with the likes of Stephanie Glover and Nyakoat Dojiok rebounding off half-back, and Lauren Butler controlling the midfield with Denver Henson. 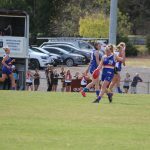 The Rebels had four individual goal kickers on the day, while Hannah Simpson, Chloe Leonard and Lauren Sykes were other players named among the best. It was a good win for the Rebels against a defensively strong side. For the Stingrays, Tyanna Smith booted two goals, while Shelley Heath and Abbey Jordan were prominent through midfield. Saige Bayne and Eliza Wilson-Macdonald won their fair share of the ball, while Isabella Shannon provided a target up forward. With the Stingrays missing three of their top players to the AFLW Academy game, Lucy Cripps was a rock in defence, providing good composure and stability across the ground. With a full-strength side, the Sandringham Dragons ran amok over the Cannons. 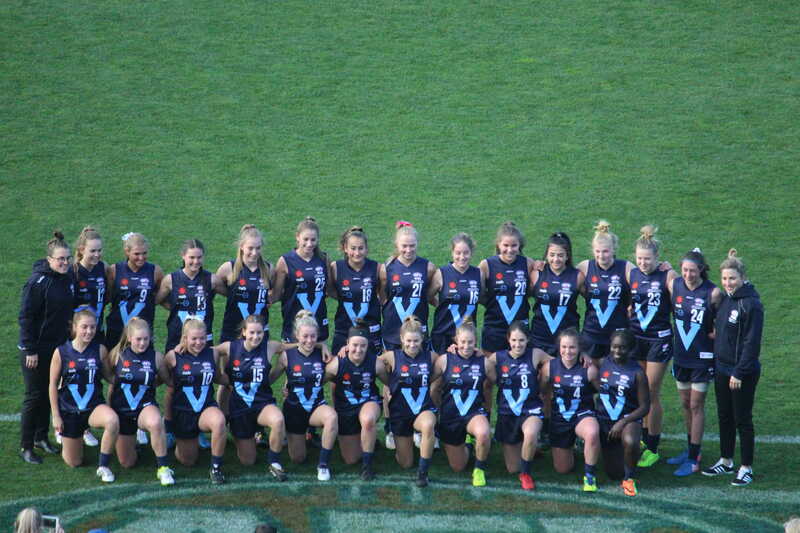 They were able to capitalise on a Cannons outfit without Madison Prespakis, Georgia Patrikios and Molly Warburton through flexing their muscles and showing the depth in their squad. A new player seemed to step up every quarter for the Dragons, and in the first quarter it was Maddison Wilson’s three goals that set Trevor Barker Beach Oval alight. Bella Eddey and Laura Amelung also did well to chip in some goals and were proactive inside 50 throughout the whole game. But Eleanor Brown was the star of the day, making it difficult for players to defend her. She displayed great movement on the wing and became an unintentional target for the Cannons, leading up to every kick that came her way. Despite a dour day for the Cannons, they should be extremely impressed by Felicity Theodore’s performance. Theodore seemed to be everywhere and did everything she could to help penetrate the ball forward for Calder. She had plenty of great bursts out of stoppages and even leapt over an opponent to take a memorable mark for a small midfielder. Zoe Hardiman was able to make an impact across half-forward thanks to her ability to get the ball and quickly dish it off to keep the play flowing. Georgia Marsland and Gloria Elarmaly were Calder’s goal-kickers. In the final game of the round, Geelong Falcons held off a determined Murray Bushrangers with a nine-point win. The Falcons booted four of the first five goals of the game and looked seemingly home at three quarter time, holding a 22-point lead. To that point the Bushrangers had looked well and truly in the contest, winning their fair share, if not a majority of the possession. But straight out of the final break huddle the Bushrangers booted two goals in the opening six and a half minutes to suddenly come within 10 points and it was game on. But the Falcons held strong, winning crucial one-on-one contests and getting home in a contested affair. It was hard to pick a best player for the Falcons with defenders Abbey Chapman and Sarah Hungerford putting in a superb effort in the back half, as did Sophie Walmsley, who snuck forward and booted a goal too. Luka Lesosky-Hay was the Falcons top midfielder in the absence of Olivia Purcell and Nina Morrison, while Samantha Atkins brought the tackling pressure, and Tarryn Love was impressive before going off injured in the third term. For the Bushies, the midfield core of Tamara Smith, Grace Egan and Julia Harvey was superb, while Sophie Damon was a standout in the ruck and used as a playmaker across the ground. Chelsea Knight and Hayley Doohan were among the others named in the Bushrangers best. 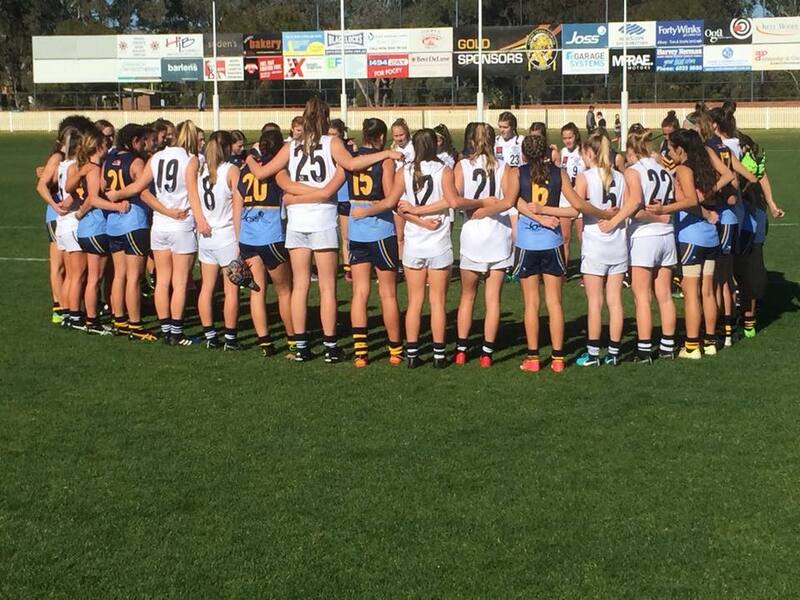 It was Murray’s first ever loss in the TAC Cup Girls competition, but they could be proud of the fight they put in until the very end. ONLY two teams remain undefeated after round five delivered some cracking contests. The Western Jets got their first ever TAC Cup Girls win while ending Eastern’s undefeated streak in the process. Over in Bendigo, the Falcons managed to get up over Murray despite missing five AFLW players. Although the Knights were given a scare by the Chargers, they stormed home to remain undefeated after five rounds of competition. This may have been the hardest week to pick the best players, with each team showing their depth in their respective matches. Below are our opinion-based notes on each of the six TAC Cup Girls games. Smothered the ball twice after giving away the free kick then gave a quick-fire handball to a teammate to set up a forward thrust. This was just one of her great plays on the day, she was simply everywhere. Displayed great run and carry after good mark and was able to clear the ball from congestion multiple times. She had an innate ability to get the ball moving whilst also doing a good job defensively with strong tackles. Georgostathis was able to display good composure to spin out of trouble on some occasions. Started to get targeted in the fourth quarter with the Eastern players trying to get in her head. Ended off a brilliant day with a big tackle in the goal square. Greiser just read the ball better than her opponents and knew how to work her opponent under the ball. Eastern players did not know how to defend her. Booted two goals in the third quarter to get the Jets’ spirits up. Finished with four for the game. Continues to be a huge presence up forward. Never stopped tackling the whole game. Her tackles were strong and often stopped Eastern players from playing that running game that we are so used to seeing from them. She was fierce around the contest and really got into the game in the third quarter. She tackled anyone that came near her and created so many stoppages. She was one of Western’s game-changers. Had a really good ability to move towards the ball on a long kick rather than waiting for it and trying to judge it in the air. In one instance, she took a huge contested mark inside 50 and was slow to get up. But she was brave enough to go back for the set shot, displaying incredible courage. Was able to snap through a nice goal after being really lively in the forward line. Was able to hunt the ball down, get it and kick it quickly to create space on the field. #27 Payton-Ani Ozols: Was able to burst out of stoppages a lot of times. Displayed nice acceleration and quick hands. Followed up when she missed the target with her kick, showing great determination. #30 Isabelle Pritchard: Also displayed quick hands, was a rock in defence. Was able to provide good run and carry and was really strong in congestion. She laid a goal-saving tackle on the dangerous Laura Mcclelland in the last 30 seconds of the game. #4 Leah Spargo: Kicked a nice ball to the top of the square which helped the tall forwards who were keen to take some contested marks. Like Georgostathis, she was lively and everywhere. Really aggressive on the wing. #41 Savannah Forbes: Pushed off a player and kicked strongly on the run. She was aggressive all game and was right at the bottom of contest a lot of times. #8 Emily Gardner: Another lively Jet. Laid some nice and strong tackles especially through the middle of the ground. Stepped up her game in the third quarter. Was able to mop up well in the back-line and dominated the ruck. Played a sweeper role and did not let her team down. Kendall would often pick up the ball quickly, get it and kick it, and not just hacking it- following through for the kick to hit a target. Took a great sliding mark running at full flight towards the ball. She was a huge force especially at the top of the defensive 50, playing a great rebounding game. Nobody could get past her as she would mark everything that came her way. Stalwart in defence as usual! Displayed good run and carry and had a long penetrating kick. She took some great contested marks in this game and dominated. She usually takes a lot of uncontested marks but showed she is a contested marking beast as well. Read the footy really well when she took a mark right in the goal-square off a clever high kick by Caitlin Greiser. Sold the candy at one point and kicked off the other side of her body to get the ball into the middle, showing that she is one of the most clever ball-users in the competition. Played a fantastic game for Eastern and just did not stop trying throughout the whole game. Took a great overhead mark under pressure, which was great to see for a small midfielder. Then she did what small midfielders do, when she took the ball and burst through the middle of the ground, hitting her target perfectly with a skillful kick. Kicked two goals to top off her hard work. They were well-deserved, she was outstanding. Really proactive in the middle of the ground. Delivered a nice kick to the middle of the ground at one point and did it on repeat occasions in other areas of the ground. At one point, she was barely looking at the ball and still hit a target. Displayed good hands under pressure and always managed to follow up her efforts with the ball in hand. She had good speed to chase the ball on the deck, showing off her impressive sprinting capabilities. Delivered a beautiful kick into the forward line and kicked a beautiful ball off one step. There was simply no other word to describe her game! The co-captain made good contributions throughout the game. She kicked the ball nicely to the wing at one point and was a huge presence in the ruck. Kicked the ball well to her forwards, especially with a nice kick to Laura McClelland later in the latter stages of the game. Stepped up well in the absence of Emerson Woods. #48 Lauren Szigeti: Displayed nice movement throughout the game and her constant effort to fight for the footy was outstanding. Laid a huge goal-saving tackle at one point in the game. She was so aggressive throughout the game and did not ease her pressure at all. #38 Laura McClelland: Had a good penetrating kick and kicked it well out of congestion. Took a huge contested mark and kicked it truly, already showing signs of an experiences forward. Had good eyes for the ball throughout the game. #17 Mietta Kendall: Displayed nice hands to leap for a mark but just could not hold it on the way down. Still managed to build on her performance quarter-by-quarter. Had good quick hands. Showed off a lot of speed throughout the game, spreading to the outside and showing composure with ball-in-hand. She put in a consistent effort across the game, winning the footy and getting back to help out the defence and break the lines down the wing. Thought she was one of the best Pioneers for her sheer work rate and ability to get to the football. She provided good pressure on the inside and a knack for quick hands. In the second term she snapped inside 50 which led to a goal to Bree Heiden. When inside 50 she was lively and took a good intercept mark from a kick out and kicked long to the square. In the third term she worked hard out of the midfield, had three possessions in a chain from the clearance through to a snap which just missed. Really liked her game off half-back, particularly early in the peace. Had it not been for Hards’ efforts then no doubt Gippsland’s lead would have been higher in the opening half. She worked really hard in the back 50 and won the footy at half-back thinking her way through her touches going forward. She also showed off a good turning circle when she managed to swing onto her preferred side to kick forward. Another consistent effort from the captain who consistently showed no fear in her attack on the ball. She buzzed around the stoppages and showed good intensity when tackling the opposition ball carrier. She organised the midfield well and won a few free kicks from going in hard, and getting to the ball first. One of the Pioneers’ most consistent on the day. Attacks the football with vigour and used her strong body to bump an opponent off the ball and win a crucial one-on-one. She earned a goal through hard running to lead into the central corridor and kick truly from the set shot. #1 Maeve Tupper: Packs plenty of excitement and almost snapped a miraculous goal in the second quarter from a tight angle, but was dragged down and the shot just missed. #2 Maddy Baldwin: Created some good run on the outside and was able to get into space to win the ball. Baldwin was another Pioneers midfielder who stood up when it counted and put in a consistent performance. #8 Shelby Knoll: Provided a target inside 50, taking a couple of good marks out on the lead, including a juggling mark in the third term. She worked well with Kodi Jacques in the third term, marking the pass and then handballing back to Jacques to keep the play moving. #9 Dayna Kelly-Guthrie: Played through the ruck and was solid in her tapouts, then got forward and kicked a great goal from a set shot in the second term. #11 Jemma Finning: Another midfielder who was up for the fight defensively. Laid some huge tackles and worked hard with Jacques and Williamson through the midfield. #20 Kate Douglass: Played in defence for most of the game before swinging forward. Provided a target in the final term, taking a couple of marks and kicking a long goal from 45 metres out. #32 Sharmaine Reilly: Showed good pressure in defence, stopping a certain goal on the line in the opening quarter with a dive, and then laying a particularly memorable tackle later in the game to lock up the ball from escaping in the Power’s forward 50. A composed user of the football, Jones played on the wing but also worked hard to get back into defence and help out. She covered the ground well and took a couple of marks in the defensive half of the ground. Jones also showed off a high defensive awareness and great speed, when in one instance she shepherded a teammate to allow them to kick inside 50, and later produced a great run-down tackle on the wing. Her best performance of the year and put together a four quarter performance. Camped at half-back she rebounded everything, keeping a firm line between half-back and the centre of the ground. Her first interaction was a good one, side-stepping an opponent and kicking long inside 50 to a one-on-one. Moments later she took a great overhead mark one-on-one and kicked to Alana Rippon on the wing. She showed off her fleet-footedness using agility to turn her opponent inside out and showed composure while on the move. Her first term was superb but it did not stop there, consistently providing rebound for the power, intercepting anything in her area and laying some great, fierce tackles. Her mindset was also promising. In one instance in the fourth quarter where she missed a kick out of defence after winning the ball at ground level, but rather than berate herself, ran forward, bumped the opponent and locked the football up to stop the Pioneers getting it forward. A player who impressed with some great highlights. She laid a good tackle on the wing in the second term, and provided great forward pressure throughout the match. In the third term she showed quick thinking and goal sense to kick a goal off a step from 45m out. In the final term she laid a great goal-saving tackle, earning her a free. Her versatility to play up either end was on show on the weekend. A player who is in ripping form currently, Webber continues to provide a forward target for the Power, finishing the game with three majors and moving to second on the goal-kicking table. She kicked a huge goal from 40m out in the first term, then got her second in the second term through some hard running, and capped off with an impressive third goal just after that. Aside from hitting the scoreboard, Webber also provided strength and a keen goal sense inside 50. Played through the ruck and certainly held her own, showing good strength and giving her midfielders first use most of the time. A strong body, she assisted her teammates with good defensive efforts. The co-captain was a good leader in the absence of co-captain Tyla Hanks on game day. #10 Tahlia Dower: Provided some good dash out of defence and got forward to kick a goal for her hard running efforts. She covered the ground really well and was one of the better Power players on the day. #30 Alana Rippon: Worked hard through the midfield and provided some good dash. It was clear if the opposition gave her a centimetre she would take a mile. Got some quick first few steps and is able to find the ball. #57 Jasmine Ferguson: Constantly applied pressure to the opposition and pumped the kick long inside 50. Ferguson took a huge grab in the middle of the ground and moves well for a taller player. #65 Julia Redmond: Had a memorable moment in the second term, pulling down a huge pack mark on the wing. Fought valiantly all day against Bridie Winbanks in a very even ruck battle and made her presence felt. She moves really well for a player of her height and was not afraid to take her opponents on when pushing the ball forward with her booming kick. In a very strong Knights midfield, it felt like O’Connor was a fourth rover with her efforts around the ground proving valuable. She always finds a way to hit the scoreboard and today was no different. Starting on the wing, Bannan provided touches of class and some good run through the midfield. Her spread from the congestion proved to be damaging, and her ability to repeatedly be the option to carry the ball inside 50 is a real asset. She booted both of her goals in the final term, with one of them coming off the back of a nifty side-step to get rid of her opponent. Kicked the first goal of the game but spurned the chance to kick another moments later as she could not manage to poke the ball through from the goal-square. She was ever-present inside 50 and provided a solid option all day, often acting as the link in the chain between the arc and the goals. She had the chance to kick another goal in the final quarter but gave it off, which was typical of her score involvements for the game. Arguably the best player on the ground, McKenzie dominated in all areas. She started the game in the centre bounce and won a stack of clearances to go with two goal assists early on. The highlight of her game also came early in the first term when she received the ball at half-back and went on a winding four-bounce run through the centre square. She lost the ball momentarily but bounced straight back up, won it back and hit up a teammate inside 50. She was thrown forward late in the last quarter and kicked three goals in as many minutes to seal the win for her side, capping off a complete and dominant display. Another Knight who always seems to find the goals, Pronesti was again at her dangerous best. Her three first-half goals helped the Knights to set up a handy buffer going into the main break, and she stood up when needed. Playing as a deep-lying forward, she was able to position herself well at every contest and proved to be a real handful when working in tandem with Sarah Sansonetti. #2 Marnie Jarvis: There is not much of her, but Jarvis was everywhere and had some nice moments. Working mainly off half-back and the wing, she looked lively with ball in hand and provided some spark going forward. Her speed and nifty sideways movement allow her to stand out. #5 Madeline Brancatisano: The skipper was lively early as she attended most of the stoppages. She provided a cool head to go with her tough edge in the contest and burrowed in well to set the tone for her side. While she faded out later on and was caught in possession a couple of times, she showed signs of her usual accumilating best. #7 Abigail Bennett: Was used in varying roles around the ground but was mostly effective behind the ball and through the midfield. Her best moment came in the last quarter where she picked up the loose ball, weaved through two opponents and set on a dangerous forward run. A smooth mover, Bennett also impressed with her clean hands in a frantic contest. Was a standout as the Chargers’ best player alongside midfield bull Emily Harley with a massive contribution in both the ruck and at ground level. While the ruck battle was relatively even, it was Winbanks’ follow-up efforts and fierce tackling that were most impressive. As a mobile tall, she was able to show off her admirable work rate and strong hands in what was a physical contest. Her lone goal came at the end of the third term, which the Chargers won with three goals to zip thanks largely to her efforts. Porter spent the majority of the game in the midfield and had a few good moments. Her speed and willingness to take the game on was a highlight, and she was able to give her side a nice bit of outside drive. While her attacking style is exciting, she was caught in possession a couple of times, opting to bounce or hold the ball when she had the chance to quickly dispose of it. Was quiet early but found her feet and a way into the game during the third quarter. She had a five minute purple patch where she showed off her speed in a mazy run, caught an opponent holding the ball, and put in a courageous effort at half forward in quick succession. Her hands are clean and she has good natural pace, proving to be quite evasive throughout the game. Harley was a bullocking force through the Oakleigh midfield and provided some real grunt when they needed it. She started off the game dishing out a couple of fend-offs and doing her best to side-step opponents with her turn of pace, and continued on with much of the same. Her forward drive and competitiveness was a real standout, with many of her runs finished off with a long inside-50 ball. A highlight for her was her handy slips catch while she was thrown deep forward in the second term, which she capped off with a goal. #41 Katie Lynch: Having started in the centre square for most of the first half, Lynch struggled to make an early impact. A move deep forward in the second half proved fruitful, as she looked to have gained some confidence and found a lot more of the ball. She looked dangerous at times and finished the game with a goal. #38 Daisy Bateman: There were limited opportunities for the Oakleigh forwards but Bateman took advantage of the ones that fell her way, booting two of her side’s five goals for the game. One of the Stingrays prime movers through the midfield and constantly pushed back to help out the defence. Had a busy first term with a couple of eye-catching dashes in the opening minutes, and also laid some tackles later that quarter. After a quieter patch in the middle of the game, Heath picked up in the second half with a huge tackle later in the third quarter just outside 50 with the clock counting down. Her last quarter was great, winning plenty of the football pushing back at half-back and along the wing, working hard to use her pace to drive the ball forward. Has pace to burn and constantly tried to break the lines. She worked in tandem with Heath along the wing and covered plenty of ground. In particular she moved well in the final term, driving the ball out of defence to help propel the Stingrays forward. One of the better Stingrays throughout the game, played on the outside and managed to get into ball-winning positions. I thought it was her best performance of the season and she adds a bit of pace and grunt to the outside, a solid performance across the four quarters. Just keeps battling hard and was able to get free on a number of occasions to kick the ball long. Booted two goals for the Stingrays and was lively in the front half of the ground. Early in the third term, Smith positioned herself well in front of her opponent and protected the ball drop to mark. Not long after she kicked one of the goals of the day from long range. One of the better Stingrays on the day and a creative option inside 50. As consistent as ever in defence hardly put a foot wrong and just so consistent, when the going got tough she got going. Cripps even pushed up to a wing at times in the third term to provide extra support in the midfield and drive the ball forward. Good long kick deep in the third term, as she had pushed up to half-forward at the time. Knows when to push up the ground and when to stay back. Versatile and can play anywhere on the ground. #5 Eloise Allen-Burns: A composed defender in the back 50, Allen-Burns repelled a number of Rebels attacks with some good intercept marks and clearing kicks. Just does her job and is rarely beaten one-on-one. #20 Eliza Wilson-Macdonald: Buried herself under packs again and laid a number of fierce tackles. She just continues to work hard and win one-on-one contests or at least put her body on the line. Earned a free kick in the final term at a crucial stage to drive her team forward. #26 Isabella Shannon: Played forward in the third term and presented well and then started to show it on the scoreboard with a goal and then a centering pass to the square. With her leading out the Stingrays looked much more dangerous. Great long kick at half-forward to deep. #55 Harmony Thomas: Continues to present as a forward target, just needs to capitalise on her opportunities. She took a great one-on-one mark early in the game but missed the set shot. A last quarter free for going in hard presented another opportunity but just missed. She laid a great tackle in the third term to stop a forward thrust and provided a neat kick to Shelley Heath. She has a bit of pace and class about her, kicking a goal and looking dangerous at times through the midfield. She had a good deep pass forward in the second term and is a good mover, sidestepping her opponent. Just a consistent leader in midfield, she positions her kicks well to the danger zone and has that powerful penetration. In the third term she won the ball at midfield and hit up her team-mate leading out of the forward 50. Early on with Dandenong having the breeze, Butler drifted back to help the defence and took a good intercept mark in the hole in defence. Really liked her performance through the ruck and around the ground. She continued to push hard and kicked long to gain serious metres. She laid a fierce tackle in the opening quarter and showed quick hands to her runners. I think the bigger highlights were her efforts around the ground. Really consistent performance again from Molan who seemed to be everywhere. She settled down the side and was used in transition, winning the football across the midfield and being an important link in the chain going forward. Provided some great drive out of defence, and was particularly prominent early. She showed good agility to sidestep opponents and kick long down the wing, and was one of the better Rebels across the course of the game. Seemed to have a no-frills approach of winning the ball and keeping it moving in transition, working hard to win it defensively and drive it forward. #9 Jordie McAuliffe: A hard runner who was rewarded with a great goal in the second term. She also was a reliable kick, hitting up Isabella Simmons who lead at the football in the forward 50. #19 Katie McAloon: Kicked a great goal off a step in the second quarter. #27 Nyakoat Dojiok: Created some great run and carry early on in the match, and almost pulled down a high leap but just dropped it. Good acceleration and has a penetrating kick, she had some impressive plays. #28 Isabella Simmons: Positions herself well down forward, leads for the footy and then camps under the drop zone protecting the ball drop. #45 Alyssa Humphries: Early on in the game she was damaging up forward, booting a goal and then using her quick hands after a mark to give it off to Jordie McAuliffe for a goal. Played well out of full-forward, and almost kicked a second goal, hitting the post in the final term. Was lively around goal, especially in the first quarter. She kicked the first two goals for the game and finished up with three. Bended it nicely around the body for a confidence-boosting goal after stoppages started to come into play more frequently. Wilson read the ball well in the goal-square, crumbing the ground balls and snapping them through. Was killing it inside 50, taking great uncontested marks and trapping to the ball deep inside 50. Her goal was a stunning pick up and snap around the body from the boundary line! This was set up by Alice Burke’s high ball, which set the small forwards up nicely to run onto the footy. Eddey displayed good work to hunt the ball down and got plenty of it. She was involved in a lot of passages of play, which was highlighted by a spearing pass to Sophia Rothfield on the lead. Even brought her teammates into the game with a good one-two to get the Dragons out of trouble. Did all the little things right for Sandringham. Managed to kick the ball well even off a burst of acceleration. Delivered a beautiful kick into the middle of the ground to get the Dragons out of trouble. Displayed pinpoint accuracy with her kicking. Had good run and carry especially down the wing. Brown leads well towards the ball even in defence, and doesn’t wait for the ball to come to her so she can spoil. She didn’t allow opponents to lead to the footy because she always meets it first. Really starting to find some good form in these past couple of rounds. Was able to stand up in the stoppages and did some nice things to clear the ball out of congestion. Kicked a nice goal after a good assist from Georgia Emberton. Kicked two for the game which really got her confidence up. Amelung can make an impact wherever she plays. Spent some time up forward and kicked a goal courtesy of a nice snap. Had some great one percenters with some really strong tackles, some great work to run into space and even a nice attempt to thread the needle through goals! She had a nice moment where she grabbed the ball off the deck, accelerated and ran towards goal. Ended up with two majors for the day, showing her versatility. #2 Winnie Laing: Was able to trap the ball well and handball it out of congestion. Displayed great work to get the ball out with three Cannons players tackling her. #3 Sophia Rothfield: I witnessed one of the best leads to the footy I’ve seen after Rothfield burst off her opponent with immense speed when she read Bella Eddey’s spearing pass immensely well. Gave her opponent no chance to chase her down in that instance. Displayed some really good work to chase the ball down in the goal-square and kick off one step while being tackled. #31 Bryanna Arnold: Read the footy beautifully, shown by a kick just landing into her arms after all eyes were on it. Displayed good work to hold up play while the Cannons attempted to run away out of a stoppage. #32 Sarah Hartwig: Displayed good composure down back. Was able to kick well under pressure. She’s a good defender and a great leader in the back-line. #46 Alice Burke: Had plenty of score involvements throughout the match. Most memorable one was a high kick to set up a Bella Eddey goal. Delivered some really nice kicks for the forwards to run onto, and one of them ended up in a great boundary-line snap from Eddey once again. Theodore was everywhere for the Cannons and tried extremely hard to keep her side in the game. Did well to hold the dangerous Alice Burke up in stoppage to create another stoppage. Was reading Carla Rendelmann’s taps perfectly and was able to get some clearances. Even had a couple of good ‘don’t argues’ to clear the kick away from congestion. In another instance, she fended off well to evade her opponent and dashed out of the middle. Theodore was able to pick up ball with pace, making it look like the other players were just staring at it. Often got the Cannons out of trouble. Leapt and marked against two Sandringham players to send the ball straight back inside 50 after a kick-out from full-back. Really filled Prespakis’ shoes. Applied great pressure to cause a stoppage with four Sandringham players around her. Laid a huge tackle in the goal-square to keep the ball alive for the Cannons inside 50. Continues to improve each game and is one of the Cannons’ best players. Caused some headaches for the Dragons thanks to her aggressive manner and hunt to penetrate the ball forward through defensive acts. Hardiman did some really nice things around the contest. She picked up the ball well and evaded her opponents to deliver a nice centring kick, took a really nice mark which set her up for a set shot in the second quarter, and delivered a fantastic run-down tackle. Also read the ball well when she marked a kick that dropped short. Accelerated towards it rather than waiting for it. Was active around the half-forward flank especially. Got heaps of kicks away and did not seem to stop trying for the Cannons. She was proactively keeping the game moving for Calder. Kept herself in the game through some good running and following up her teammates’ nice work around the contest. Was able to just grab the ball and kick it without fuss. She was really strong in defence. She took a great mark to create a turnover and delivered a nice handball under pressure. Displayed great work to hack the ball out of inside 50 when Dragons looked dangerous. Strong tackling was also evident in one of her best games of the season. #15 Georgia Marsland: Took a nice mark off a high kick. Kicked the Cannons’ first goal of the day. #18 Carla Rendelmann: Was impressive in the ruck and won lots of hit-outs. Tapped the ball down well to her small midfielders, especially Felicity Theodore. #37 Faith Holloway: Broke away from the contest well and got a kick away. Had a lively start to the game. Smothered the ball well to save a certain goal for the Dragons. #46 Gloria Elarmaly: Did some nice work to thread through a goal for Calder. Was lively inside 50. I was impressed with her performance across half-forward, providing some fierce tackles and keeping the opposition honest. Earned an important free kick in the first term when she dispossessed Grace Egan, and then worked hard inside 50 to win the ball at half-forward and centre it to a dangerous position, leading to a goal. She laid quite a few strong tackles, with one in particular in the third term causing an important turnover in the forward half. Arguably Geelong’s most prominent midfielder, Lesosky-Hay really stood up in the absence of Olivia Purcell and Nina Morrison. She went head-to-head with Grace Egan throughout the day and had some great battles, never taking a backwards step. She went in hard and won some crucial contested possessions, shovelling the ball out to teammates in space. I thought she was one of the better Falcons given her strong work in defence. On a couple of occasions, she positioned herself well in the marking contest, and had a desire to win the football. In the final term when Murray was attacking, Sheppard won a crucial one-on-two and locked the ball up. Had she lost that contest, Murray would have surely goaled and put the margin within a kick. It was almost impossible to name a best player from the Falcons such was their team effort, but Chapman probably came the closest with her sensational work in defence. It was not just her consistency that was impressive, but she just had a number of “big” moments which could be considered game-changing. In the third term she saved a certain Grace Egan goal with a mark on the line, and then in the fourth term, took a huge intercept mark with five minutes to play, settling down the team as the Bushrangers attacked. Across the course of the game she was very good one-on-one. I thought she was one of the best on ground early, until injury curtailed her match in the third term. She just hunts the ball and harasses the opposition, providing pressure on the ball carrier. When in control of the football she has clean hands and a great first touch. Her awareness of her teammates’ positioning is also important and she is able to execute handballs through traffic. Love set up a goal to Paige Sheppard with a kick to her advantage up forward. #6 Paige Sheppard: Kicked a couple of goals to spur on the Falcons with one from a set shot, and another from a snap courtesy of a Tarryn Love kick inside 50. #16 Laura Gardiner: Seemed to cover the ground well, playing off half-back and also getting forward to kick a goal. She is a long kick who is often on the move. #37 Sophie Dinneen: Another Falcons defender who worked hard to win the football and repel the Bushrangers attacks. She was smart with ball in hand and kicked long out of the defensive zone. #35 Sophie Walmsley: A lively player who kicked a great goal courtesy of a snap in the pocket. She provided run on the outside, received a good handball to keep the ball moving along the wing, and showed good pace at times, highlighted by a spin around and kick long to the danger zone inside 50 in the third quarter. #38 Renee Tierney: Did not kick a goal after a bag last week but played a team role with the way she pushed up to the wing and hit the packs hard, providing support for her teammates. She moves pretty well and is strong one-on-one. Had more of an impact up the field than closer to goal this week. The pocket rocket stepped up into the midfield and had a huge opening term against the Falcons. She seemed to be everywhere, buzzing around the stoppages and weaving her way through traffic. A noticeable strength is her great hands in close and cleanliness at ground level. She is a good user of the football and quite composed with ball in hand. Was quieter later in the game – still had some impressive plays – but her first quarter was sensational. Was Murray’s best player across four quarters and the attributes that stand out are her ability to move through traffic, and her game smarts. She is good above her head and in the second term, showed the awareness while under pressure, to punch the ball forward mid-air rather than take possession and be dispossessed. Smith is a clever player who in the third term also did the team thing, going in to assist her teammate Kate Adams at a stoppage, providing a vital shepherd to allow Adams clear passage for disposal. She also assisted with a goal to Melanie Cook after a nice pass in the fourth quarter. Had a huge first half in particular, being somewhat of a playmaker through the middle with her teammates looking to her to kick long and deep. She was often on the end of handballs, and moved really well for a taller player. In one instance she calmly sidestepped an opponent and managed to kick with composure. She had a shot on goal but that just missed to the left. Her ruck work was also impressive, giving her teammates first chance at possession. She was also involved in the Melanie Cook goal, hitting up Tamara Smith with a piercing pass. The most notable moments for me were when she won some crucial one-on-ones late in the match. She was able to win a hardball and handpass to Grace Egan under pressure, then beat her opponent late in the final term in a one-on-one contest. One of the stars of the Bushrangers’ line-up, Egan was consistent across the game, but particularly picked up in the second half. She worked hard through the midfield, burrowing under packs, putting pressure on the opposition. She stands strong during tackles and found a lot of the ball in close. In the third quarter she ran forward and had a shot on goal, but it was marked on the line. She has clean hands and a one-grab player, spreading well to cover the ground. One of her best passes was in the final term when she had the ball at half-back. She sent a bullet, hitting up a teammate on the wing, switching up play and disrupting the opposition’s set-up. Really stood up as a leader in the final minutes, trying to assist in directing players. #4 Chelsea Knight: A classy midfielder who assisted Julia Harvey, Tamara Smith and Grace Egan through the midfield. She stepped up at points and had a few good touches in the midfield, especially in the third term. #8 Olivia Hall: Got her side up and about in the final term with a great goal to put the Bushrangers back within 10 points at the six and a half minute mark of the final term. #40 Melanie Cook: Continually presented at the football and was often under tight watch from the opposition. She took a good mark and kicked to the danger zone in the second term to set up Mikayla Jones’ goal. In the final term, Cook got the ball rolling and the atmosphere going with a goal from a snap. WITH many of the games across the weekend played at RAMS Arena, it gave any team a chance of victory. But for Murray and Gippsland, a draw prevented them from keeping their winning streaks alive. However, the Calder Cannons and Greater Western Victoria (GWV) Rebels got to taste victory for the first time this season. Each week, we will be going out to games to take notes on some of the players that deserve recognition for their performance. The defender was a pillar of strength down back and kept a quality opponent goalless. Her ability to read the play was the difference in the game. The Pioneers found it difficult to get the ball past halfway due to her ability to position herself exactly a kick behind the play. The best player on the field for the day. In the second quarter, she laid a massive tackle in her own forward line. This lead to a free kick and earned her a shot and goal, and of course she kicked truly. Had a really big second half. In the third quarter, Butler had a nice moment where she picked the ball up cleanly, looked inside from half back, and rather than blazing away down the line, delivered the ball onto the chest of her teammate in the centre square. She also positions herself well at stoppages and was able to win a heap of contested ball. Although she did not find much of the ball, when she was in possession she was extremely eye-catching. Her long kicking put the Bendigo defenders under pressure, and she was not afraid to tuck the footy under the arm and take the game on. Almost kicked an outstanding goal in the third quarter, after reading that the ball was going over the back, pounced on the loose ball, picked it up cleanly (which was difficult in wet conditions), and had a ping from a tight angle, just shaving the post. Exciting, raw prospect. Diminutive but remarkably strong for her size. The opposition found it very difficult to tackle her. Shrugged tackles at least four times in the game and on one of those occasions she set a goal up for her side afterwards. Potential to be a top contested on-ball winner if she gets the opportunity. Really liked her game, and thought she was one of the Rebels better players. #2 Renee Saulitis: Beautiful kick of the ball, had a nice piece of play where she was in the right position for the handball receive, and kicked it to the hotspot. Kicked a goal and had a nice game overall. #23 Sophie Molan: Nice kick out of the pack for a goal in the third. Had a good run and jump at the ball, marked and goaled late in the piece. Battled hard. #28 Isabella Simmons: Laid a huge tackle in the final quarter which left her opponent sore. Kicked a nice goal in the final term. Was outstanding throughout and did everything she possibly could to get her side over the line. When the Rebels had all the momentum in the third quarter, she almost singlehandedly kept her team in it. She was everywhere! Her third quarter efforts arguably stopped this one from being a blowout. Terrific player. Showed some glimpses of individual brilliance. Late in the game, she beautifully spun out of a tackle and set up a scoring opportunity for her side. Was quiet for large parts of the game, but when she was in possession of the ball she was extremely eye-catching. I would love to see her play on ball for a whole game, as she has the potential to be a really good player. #2 Maddie Baldwin: Read the play really well to kick a goal in the second quarter. Had quiet moments, but did a lot of good things for her side. #9 Dayna Kelly-Guthrie: Really consistent player, did not do anything outstanding, but was a solid contributor throughout the day. #16 Emily Cooper: Worked really hard up forward putting pressure on the Rebels defenders. At one stage, her pressure caused a Rebels turnover and earned her side a goal. #22 Mia Ward: Not afraid to put her head over the footy and win the ball for her side. Tough competitor. She had a good game across the middle and was quite dynamic on the field. Knight pressed hard and her work rate was up. She was not afraid to compete hard for the footy and was ferocious at ground level to try and win the footy for her team. She covered the ground well in the slippery conditions. She had a huge game for the Murray Bushrangers and was influential across the ground in difficult wet and slippery conditions. She took plenty of good intercept marks and hit the packs hard to win the footy. The weather did not seem to bother as it looked as if she had the ball on a string. She showed great footy awareness and was a ball magnet in the third term, bursting through contested packs. Webster tackled hard and was not afraid to get involved in the contest, she also showed off her impressive kicking ability. She was a clear standout for the Bushrangers in difficult conditions. Played a huge role in bringing the Bushrangers back into the game in the fourth quarter by creating leads and running hard to try and open up the space across the ground. She had a good clearing kick which she used to get the ball into space and was very creative with ball in hand. Smith also demonstrated her clean hands in close and around the contest even with a wet and slippery footy. She worked really hard to win the contested footy for her team and tried to give them an opportunity to push forward. Egan was very influential when she helped out in the ruck contest and showcased her leap. She took a few good contested marks down back and demonstrated her clean hands around the contest. She showed good footy awareness and was able to read the play and flight of the football with ease. Egan managed to hit targets in tricky weather conditions and was one of the best on field for the Bushrangers. Barber had a huge last quarter, scoring one of the most important goals of the game to tie the scores. She was under heaps of pressure but showed great composure and skill to go back and slot the goal in the last term. Barber had strong hands and stood up when her team needed her. #1 Julia Harvey: Had clean hands and took good marks under pressure which can be tricky when dealing with a wet footy. #14 Amy Duguid: She had some good run and created dynamic leads for her teammates. Duguid worked really hard to try and open up space and used her long kick of the footy to clear congestion. #41 Charlotte Bevan: Laid some strong tackles and had no problem bringing down bigger-bodied girls in her bone-crunching tackles. #16 Eloise Ashley-Cooper: She was really solid down back once again for the Bushrangers and continued her impressive ways. She won plenty of the footy and showed good awareness. #19 Millie Brown: Her quick use of the footy was impressive as it kept the opposition on their feet. Her quick transition play allowed for her team mates to run free. Positioned herself well to take big grabs and had strong hands in marking contests. Jones had good break-away speed that helped her to open up and create space for her team mates. Her use of speed showed great footy smarts as it enabled her to burst away from packs and set up scoring opportunities for herself and others. She scored an important goal in the opening quarter thanks to her reliable kick and ability to get herself into damaging positions on the field. Another player that stood out for the Power was Megan Fitzsimon, who relished her time out in the middle showing great agility and ability to read the footy. She competed hard to win the ball and showed a great work rate to get herself involved in the contest. Fitzsimon had a thumping kick on her and strong hands taking some big grabs across the ground. Andrews was influential in setting up play for the Power and used the footy cleanly and accurately. She was able to hit her targets and pushed forward in the third quarter to help create possible scoring opportunities for her team. She applied plenty of pressure around the ground and took good contested grabs while having to contend with the slippery ball and windy conditions. She was a key player for the Power working down back and pushing up hard into the midfield. She was not afraid to go hard at the footy, laying an impressive smother and competing hard in the scrum. Hanks showed great awareness with ball in hand and had strong hands to take important grabs across the ground. She used her penetrating kick to move the ball quickly and help set her team up. The co-captain was in everything and really opened up the game at times with her run and decision-making to help release team mates. She showed great awareness throughout the game and laid some big tackles during the match. She played a pivotal role in the second quarter, nailing an impressive goal to get her team into a dominant position going into half time. Her goal sparked her team up. #27 Nikia Webber” Showed a lot of desperation for the footy and competed hard to win the ball for her team. Covered the ground really well and ran hard to impact on the contest. #46 Laura Thompson: Had clean hands in and around the contest and was able to find targets in the wet. She also showcased her marking ability with her strong hands in challenging conditions. #57 Jazz Ferguson: Showed her skills both offensively and defensively, laying strong tackles and coming hard through the congestion to clear the footy. The talented utility had a few promising moments throughout the game and presented to a number of contests leading out of the forward line. She moved into the midfield in the second term and put pressure on the Cannons midfield, often lining up against the much smaller Madison Prespakis at stoppages. However she showed throughout the game she has good game smarts, positioning and strength, and is clean at ground level. Another promising performance from the winger who was strong around the clearances, winning a few free kicks. She was one the Cannons had to keep an eye on, and benefited from a 50m penalty to slot the Jets’ second goal to put them in front at one stage. Her strengths are her hands in close and a neat side-step when clearing the ball out of the middle. Consistent as ever building on from last week’s game. Hard to believe she is still 16 as she has a very mature approach to her football. She is a strong intercept mark and constantly rebounds opposition attacks. Pritchard laid a number of strong tackles to lock the ball up or stop opponents clearing it easily. Among her strengths are her positioning in one-on-ones and her vision, complimented by her intercept marking ability and long kicking. Provided a real forward target for the Jets and booted two goals as the main forward in the arc. She is so strong and had a great fend off in the forward 50, and later on snapped a great goal off a step in the second term. She provides a focal point for the Jets who go long and deep, and has some impressive goal sense around the big sticks. A strong performance across four quarters, Greiser got amongst it regularly when the ball headed forward. She played as a high half-forward and while at times the ball was at the other end of the ground, when it was in her area she used her long kicking and strength in one-on-ones to win the ball and bomb It forward. She has a penetrating kick and used it fairly well early. #2 Caitlin Gashi: Laid a great tackle in the middle of the ground and showed some impressive defensive attributes on the day. #5 Mary Daw: She came in for her first game of the season and mostly played down back opposing star midfielder Madison Prespakis when she was forward. She did well in the one-on-ones but is still quite raw and her disposal can still improve. She showed off some nice athleticism at times, however. #15 Hannah Bult: Provided some really good run and carry, and has a long kick that she was able to utilise to kick to position well. #22 Alison Chivell: A midfielder who showed some promising signs around the clearances in the middle. #27 Payton-Ani Ozols: Strong overhead and has courage to burn, taking a huge grab with pressure coming from behind. #35 Chloe Weston-Sirett: Got involved in the second term with a long kick inside 50 to Cleo Saxon Jones’ advantage leading to a goal. A lightly built midfielder, Theodore provided some heavy defensive pressure. She did well to roll back into defence and up forward and win the ball at half-forward and keep it moving in transition. She showed off a nice set of wheels to burn off opponents when racing out of the back half and her kicking was reliable. Produced a great run-down tackle in the second term when an opponent was on the rebound. The top prospect in the TAC Cup Girls lead from the front again with an inspiring performance. Predominantly played forward in the second half after a masterclass in the midfield early, Prespakis just found space – and the footy – everywhere she went. She was strong in the clearances, used her body to plow through opponents and remarkably barely had a hand on her when the midfields spread. She was an inside bull with a penetrating kick and was rewarded for her hard running, creating a goal out of nothing, roving a ball from a pack and snapping it through the middle. She also set up a second goal with a long kick inside 50 for the small forwards to run onto it in the goal square. Stood out with her class in trying conditions. She has great skills and worked hard off half-back before progressing into the midfield. She showed great penetration on her kick into the wind which challenged many others. Vale is still developing but has some good traits that make her stand out on the football field. Stood up when the game was there to be won and was the second best behind Prespakis for the Cannons. She not only had plenty of eye-catching offensive moments, but also did all the hard stuff as well with some bone-crunching tackles. She really started moving in the game in the second half, sharing the ball around with her teammates while also using her great agility to sidestep opponents. She kicked around her body to snap what would be the winning goal for Calder and just produced an outstanding game, stepping up to another level this weekend. She showed off some great acceleration and speed to burst out of a stoppage for an important clearance. With clean disposal along the wing heading forward and great run and carry, Dicker is a damaging player on her day. Her speed was a treat as she raced away from opponents and more importantly, she backs herself in and just goes. An example in the second half was her streaming down the middle of the ground and kicking forward with barely anyone getting near her. She also created the final goal for Alisa Magri to seal the result. #18 Carla Rendelmann: Showed great run and carry out of the defensive 50. Kept the ball moving for the Cannons and was impressive in the ruck, producing the perfect tap down to Prespakis for a clearance. #22 Makeisha Muller: Has a long kick that she used to kick deep inside 50. Is also a quick thinker with ball in hand. #29 Stephanie Elias: Read the play really well and took an intercept mark from a 50m penalty. #31 Krstel Petrevski: Was really clean by foot throughout the match. #34 Zoe Hardiman: Had an early chance on goal but just missed the kick off the ground. #37 Faith Holloway: Another Cannons player who seemed to be clean in the tough conditions, producing a good kick inside 50 early in the match. The midfielder was quite impressive across the four quarters and showed some quick hands both on the inside, and quick thinking on the outside. She is clean off the deck and has good acceleration and strength, fending off opponents to keep moving with momentum. She is a hard runner who covered the ground well, often found running along the wing to create space for her teammates to kick into. Just an enigma up forward. The tall forward is an excitement machine where you do not know what to expect. She kicked a fantastic goal off a couple of steps in Mo Hope style with a bouncing snap, and just has that unique ability to know where her opponents are, and dance around them. She is most comfortable kicking for goal or kicking long, with plenty of penetration on her kicking and is just a natural goal kicker. She has a knack of finding the football at stoppages and getting her boot to the ball. Bannan also has the composure to dispose of it well rather than hacking it forward. Another impressive midfielder who does very little wrong. She has a great combination of athleticism and skill, and was able to sidestep opponents and deliver the ball forward cleanly. She is able to work the ball from either side of her body and showed good composure under pressure. One of the better kicks on the day. McKenzie has a natural kicking action and is able to pin-point targets with her left foot. A great chase down tackle on Eliza McNamara in the fourth quarter was a defensive highlight. Was the second best player on the ground behind Newton and was just so classy on a day where the conditions challenged everyone. She showed some good spread and was clean at top speed, giving-and-going where possible to keep the ball moving at every opportunity. She provided some dash out of defence when she went back, and when forward, opened up the angle on an inside 50 kick to place it perfectly to the top of the goal square for a great contest. She kick a goal from a set shot and played across the ground, showing off her versatility. The best on ground and our AFL Draft Central Player of the Round for round three. She played through the ruck, but is so mobile she can play up forward, down back or through the midfield. She laid some fierce tackles through the middle, but also provided plenty of offensive drive out of the stoppages. She kicked a goal from a banana and was so dominant across the field with her penetrating kick and high work ethic constantly having the opposition Dragons players on high alert. She has been one of the most consistent players this season, and she even went to another level on the weekend. #1 Magdalene Antypas: Showed neat skills in defence when the pressure was red hot. #2 Marnie Jarvis: Zipped around the contests winning a fair bit of the footy. Kicked a well deserved goal in the last term and was strong overhead throughout the game. #4 Neve O’Connor: Was another Knights player unlucky not to be in our overall best, but she was very impressive. Playing through the ruck, O’Connor showed good vision to hit-up targets through the midfield and execute her booming kick well, often coming out of a clearance. #5 Maddy Bracantisano: Was an influential leader through the midfield and continued to crack in hard throughout the four quarters. She earned a few free kicks for getting to the contest first and just covers the ground so well. A real strong inside ball winner, she was also among the best despite named outside our top five. #7 Abigail Bennett: Not as influential as last week, but those impressive traits were still there in patches. She has lovely vision and is a really good field kick, as well as having plenty of composure to control the ball before disposing of it. #9 Maeve Chaplin: A strong mark and quick thinker. She showed good peripheral vision and spatial awareness with ball in hand and another true contributor to the Knights’ win. #10 Phoebe Chisholm: Had a highlight reel-worthy moment at one stage, taking a great mark in defence, sidestepping an opponent and backed herself to run and carry with a nice kick down the ground. #13 Mika Suzuki: A really speedy player who can kick it well off one step. She backs up her speed with a high work rate and showed off a great tank to burst out of the centre on multiple occasions. #14 Jess Fitzgerald: Is a strong kick who can kick both straight and laterally, and has the composure to assess her options before disposing of it. #17 Ciara Fitzgerald: Unlucky not to be paid a mark in one instance and was a strong set of hands in a goal square contested marking situation. #24 Alex Pronesti: Shows her class in moments and while she was not the highest possession winner, when she gets the ball she does not waste it. An example was a beautiful centering kick to set up a straight forward set shot for Ellie McKenzie. #27 Paije Kennedy: A strong contested mark, Kennedy was good in both contested and uncontested situations, particularly having a purple patch in the third quarter. An impressive performance from the midfielder who also spent time at half-back. She had a great spin out of a tackle to kick it forward early, and just had an added bit of flair throughout the game. She was often used as a link in transition going forward, and was a hard runner when down back. Tait accumulated a lot of the ball on the defensive 50 line and did it with style with ball in hand. The clear best for Sandringham and hardly missed a beat. She was superb from the first siren through to the final one and just dominated through the midfield against a Knights midfield that often got their hands to the ball first. She broke the lines when behind the ball and showed good vision to kick to position. Brown is able to work hard to get to the right positions and is clean with her disposal and able to produce some advantageous kicks when going inside 50. When the Knights tightened the screws, Brown kept a level head and she just goes in hard and finds the ball. Can kick the ball long and still hit targets. Had an early influence in the first half, producing a few spoils one-on-one and showing her dominance in the air. The ball was often down the other end during the middle of the match as the wind favoured the Dragons in the second term. She was clean picking the ball off the deck and took a couple of great intercept marks on the wing. Dislocated her finger later in the game when the Knights took control in the final term. Started down back and moved into the midfield in the second term. Applied plenty of pressure on the inside and was one of the better Dragons by the end of the match. Quite versatile in how she can play, she has good hands in close and loves the defensive side of things. Might not stand out like some of the bigger outside ball winners, but McKay is a crucial cog in the Sandringham midfield and defence. Very impressive performance from McNamara once again. She had a quiet first quarter but was one of the best after quarter time. She won the first clear kick after the centre bounce in the second quarter, and earned a free for getting in first. McNamara won plenty of the ball as the match went on and when having time and space, was able to pinpoint passes to her teammates. Under pressure she did make a couple of mistakes, but overall was a really strong contributor in the Dragons side. #1 Maddi Wilson: Took a good mark inside 50 but her shot fell short. #2 Winnie Laing: Had her moments once again, and can never doubt her courage. Wins the hardball and continually presents around the stoppages. Conditions did not make it easy for disposal, but she cracked in hard and took it to the Knights midfielders. #25 Bella Eddey: Held good positioning at the 50m arc, protecting the ball drop and marking on her chest. She quickly handballed it off to keep the play moving. #36 Jemma Owen: Worked hard throughout the match and won a bit of the ball down forward but just missed an opportunity to capitalise in the first term. She did kick a good goal in the second term, snapping after Eliza McNamara pinpointed her inside 50. #39 Margie Purcell: Took off and used her speed well throughout the game. #42 Ruby Woods: Was impressive off half-back, particularly in the first quarter, providing drive out of defence to keep the Dragons on the front foot. #49 Laura Amelung: Has great acceleration going forward as well as good composure to side-step her opponent and kick inside 50. #50 Holly Bate: A long kick of the football, Bate placed the ball well to the dangerous part of the goal square. #58 Grace Bridges: Placed an impressive centering kick inside 50 to the danger zone later in the game. A consistent performer from the Chargers’ captain. Did not have a huge influence early, but worked into the game a little more. She has a booming kick and a hard nut attitude that saw her crash into packs and win plenty of hardballs throughout the game. She played in defence, up forward and through the midfield, showing off her versatility once again. Never said ‘die’ throughout the game and you know what to expect from her, week-in, week-out. Blistering speed and one that really caught many eyes on the weekend. She has top notch acceleration and speed, and is able to balance when on the run to fend off opponents. She has a really good first few steps and took the game on with a burst through the centre to open up the play. Provided a few highlights on a blustery day. The classy ball winner was quiet early but gradually worked into the game. She won her fair share of the ball through the middle and showed great bursts of acceleration out of a stoppage. She stepped up in the second half and laid some strong tackles – including one on Eastern Ranges’ co-captain Emerson Woods to stop her in her tracks. Not the best conditions for ball use, but Lagioia was still slick in the trying conditions. Returned after missing round two and was Oakleigh’s star for the day. She was strong overhead, played through the midfield and hardly missed a beat. She was able to spread well to the flanks and wings, and was one of the few able to hit targets in tough conditions. Lynch is very agile for a taller player and while she is the size of a key position player, can easily play midfield and reads the game well. She took a great diving mark on the wing with players coming out at her, and is able to stand up in a tackle to get her arms free. Was not numbered on the teamsheet, but certainly did enough to know we were not going crazy seeing #70 out there. She did a nice few things around the ground and worked hard on the inside to fire out handballs to the outside to release teammates to run going forward. #9 Elisabeth Jackson: Showed good vision and decision making through the game, kicking into space when she had the opportunity, just needed to execute the odd pass here or there a little better, but was understandable in the conditions. #17 Nicola Xenos: Was not as busy as the week before, but still showed off her trademark sidestep and tried to take the game on. She kicked the ball well when going forward. #19 Emily Harley: Another hard working effort across the ground, providing some tough bumps and defensive pressure for the Chargers. #21 Charlotte Moon: Performed strongly in the ruck. #26 Amber Micallef: Had lightning hands in close and provided some important passes to teammates. #32 Chloe O’Malley: Won a free kick and was able to kick the ball forward cleanly. #33 Georgia Byrne: Kicked a consolation goal in the final term, but was well deserved for her hard running efforts. A consistent performance from the AFLW Academy member and arguably her best of the season having seen all three games. She was able to have an impact through the midfield and up forward, being an important ball winner in the clinches, winning plenty of one-on-ones and using her strength and quick hands to advantage. She has a penetrating kick when she can get onto it, and showed her goal nous up forward when she pounced on a loose goal and kicked truly in the first quarter. A player who continues to build, Cann really showed off her jets with some bursts of power and acceleration on the weekend. When she gets goal side of her opponent she is so damaging, but is also defensively sound in the fact she can run down her opponents when they are in possession. She was one of the best early on, getting plenty of touches, while also spreading well as the game went on, taking a great marking and setting up a goal assist. Barely touched it in the first quarter but was not her fault at all when the ball did not go down the Ranges’ defensive end. Once Oakleigh started to get their hands on the ball more, so did Macpherson, taking some big intercept grabs at half-back and kicking long down the wing. Macpherson took a huge contested mark in the third quarter and was one of the reasons the Ranges did not let Oakleigh get too close later in the game. An exciting forward who is strong overhead and continues to deliver inside 50. She kicked a goal in the first few minutes of the game and got her side up and about. McClelland is so good one-on-one and is solid on the lead, as well as having good awareness to intercept when inside 50. She showed off her strength during the game; in one instance, she broke away from two players and was composed enough to dispose of the ball cleanly. Really good performance from Meagher who was arguably the Ranges’ best four quarter performer. Just continued to get her hands on it throughout the game and she provided a real spark between midfield and the forward 50. She has great speed and agility, bursts out of packs and wins the ball both on the inside and outside. Meagher is one player who backs herself in and is dangerous on the rebound. #6 Gabrielle De Angelis: Showed off neat skills to hit up a target in the forward 50 with a well-weighted kick. She is also strong overhead and provided good spread across the ground. #10 Nicole Cormack: Likes to move the ball and had a quick get-and-go on the outside and is quick to react from hand to foot. #17 Mietta Kendall: A booming kick out of defence, Kendall played quite well in the defensive 50. #35 Brittany Cubitt: On debut, she read the play well and took a great intercept mark inside 50 in the first half. #41 Jenna Richardson: Covered the ground really well and showed some great movement. #46 Sarah Kendall: Not as huge as her efforts in the first fortnight, but still found a bit of the ball and covered the ground well, so a solid contributor.